Rapid Clean Newcastle looks forward to sharing ideas with you and providing you with the one-stop shop for those who desire a premium flat mopping solution with maximum cleaning performance. Microfibre flat mopping is a lightweight mopping technology that cleans away more dirt than string mopping with less effort. Rapid Clean sells Oates, Interclean and Rubbermaid flat mops. 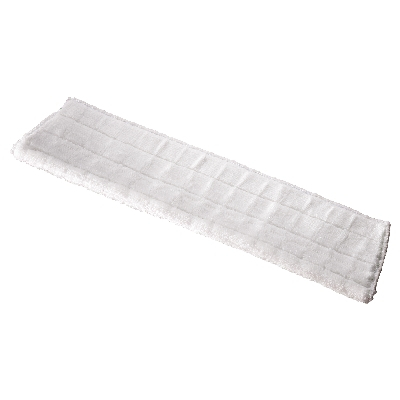 Flat mops are light weight pads, that require much less water and chemicals that string mops to clean effectively. This saves chemical cost, and uses less environmentally scarce water. It reduces risk of operator injury compared with heavy string mops and the traditional pedal and mop-press mechanism that leads to shoulder injury. 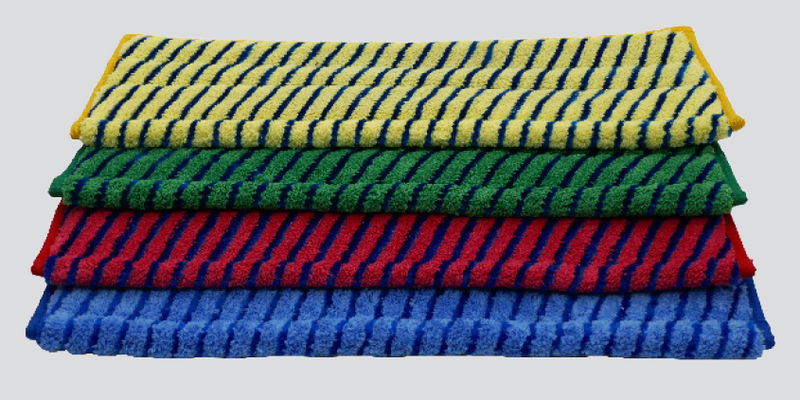 Flat mops gather dirt onto flat mops that are replaced during cleaning, and washed at the end of the cleaning session. There is a huge selection of colour coded pads that may be used in selected areas to differentiate cleaning challenges like bathrooms, kitchens, and easier general areas. Main focus areas include general mopping and spill removal right through to disposable pads for high risk areas, such as operating theatres and tightly controlled pharmaceutical industry environments. 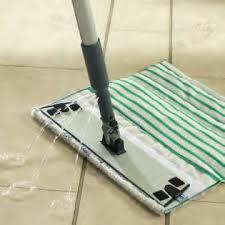 The Decitex fluid flat mop system is a good example of a smart cleaning tool. The handle has an internal water chamber that allows the operator to dispense more water if they see the pad is drying before becoming dirty enough to warrant change over. The Fluid Deluxe spill pad is ideal for Public areas such as restaurants, cafes, hotels and shopping centres office buildings, Age care facilities and hospitals. Spills need to be cleaned quickly and effectively to ensure public safety and improve OH&S. Tired of lint left on rough floors after string mopping? String mops shred lint onto rough non-slip floors - Oates Duo flat mops glide over those floors yet free the dirt - great in kitchens, bathrooms and workshops where safety non-slip floors are commonly installed. 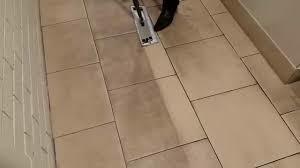 Use with the right chemical, agitate firmly without excessive effort, get the bright clean colours back on your floors. 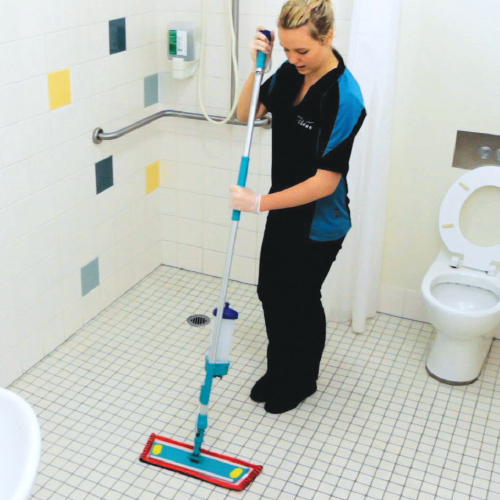 Now Spills can be soaked up with a Flat Mop Pad in Schools, Restaurants, Pre-schools, Aged Care and Hospitals... quickly, with contained removal of urine, food and drink spills, blood and vomit to be bagged and cleared fast. Soaks up to 1 litre at a time. Cleaning Chemicals work so well with Flat Mops! An industrial floor degreaser like Easiclean, Trojan, Resolve and Crossfire will quickly remove kitchen or workshop grease with a flat mop that has rough agitation points. Rapid Clean is ready to assist your cleaning product challenges!